PORTSMOUTH, R.I. (January 8, 2016) – The International Women’s Keelboat Championship (IWKC) returns! The revitalized US Sailing Championship, with a new and exciting approach, is aimed at maximizing opportunities for women sailors to participate in high caliber regattas against top international sailors. The American Yacht Club in Rye, N.Y. will host the new IWKC in J/70 class sailboats on August 14-20, 2016. With the goal of attracting more international teams, the championship will rotate each year to venues within, and outside the U.S. The trophy is named for Bengt Julin, an international judge and strong supporter of women’s sailing. Julin presented the very first trophy to Betsy Alison and retired the original to her after she had won it three times consecutively. Alison had an unbroken winning streak competing against teams from a dozen or more nations from 1991 through 1997. In 2007, Sally Barkow matched Alison by winning the championship for the third time. An impressive list of former champions includes Cory Sertl, Anna Tunnicliffe, Jody Starck, and J.J. Fetter. Sertl won the most recent International Women’s Keelboat Championship in 2011 at the Rochester Yacht Club (N.Y.). 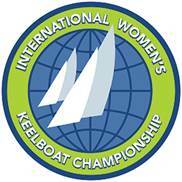 Learn more about the International Women’s Keelboat Championship.